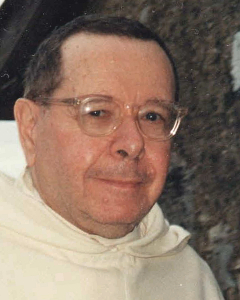 Father M.-D. Molinié (1918-2002) was a Dominican friar and a Thomist. He converted to Christianity in his youth, after studying philosophy and became friend with the French writer Cioran. 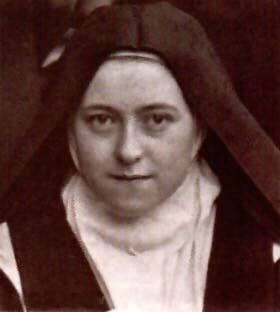 As a Christian, he was deeply struck by the intuitions of Saint Thérèse of the Child Jesus to the extent that, throughout his life, he was led by the desire to outline for his contemporary fellow-Christians the path to "the doctrine the Father has hidden from the intelligent and the wise", as Jesus says: "I praise you, Father, Lord of heaven and earth, because you have hidden these things from the wise and learned, and revealed them to little children" (Luke 10:21-22). In this sense, he stated: "Philosophy and Theology are too serious a matter to be left to intellectuals. [...] Only a child’s heart has the right and duty to devote itself to these disciplines". A theologian and preacher at retreats for many contemplative communities and groups of lay faithful, Father Molinié is best known for his books on spirituality (including Le combat de Jacob, translated into English with the title The Struggle of Jacob), and theology (especially the series of theological essays Un feu sur la terre, Réflexions sur la théologie des saints) published in his lifetime. Also by Father Molinié are his Letters to Friends, written from 1967 to 2001 and published in 2004 in French as Les lettres du Père Molinié à ses amis, and audio lectures and preaches, which Father Molinié and his friends distributed to whoever requested them. Written and audio material on this Web site are offered free of charge exclusively for private use, as they are intended as a nourishment to the souls seeking God.